A CENTURIES-OLD tree planting tradition that was started by the man who built Marple, Samuel Oldknow, is being revived by Canal & River Trust (CRT). Volunteers for the charity are branching out from their recent tasks of painting lock gates and grouting wash walls, to reinstate some black walnut trees. A number of specimens were planted by Oldknow around 1790, believed to be part of his efforts to mitigate the environmental impact of the industry he was building in the area, but only one now survives. 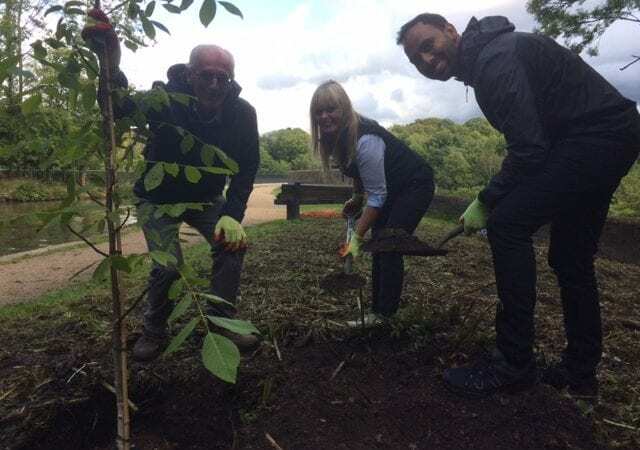 As part of the charity’s work to enhance the Peak Forest Canal environment and provide wellbeing benefits for everyone who visits, it is tasking local volunteers with the job of planting a new specimen and taking cuttings from the 228-year-old tree at Mellor Mill to be nurtured and re-planted. 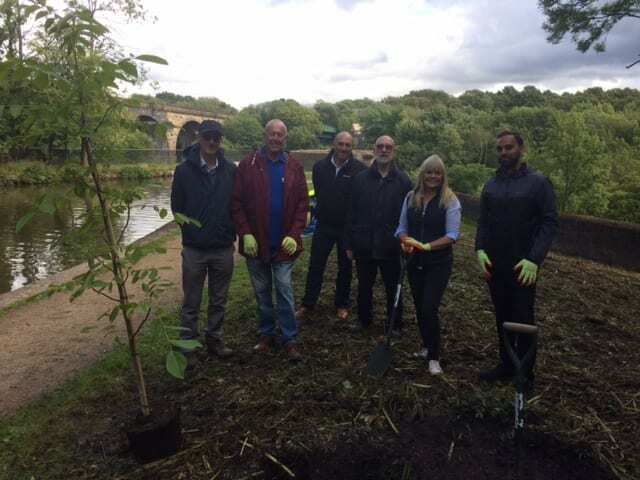 The team planted the tree near Marple Aqueduct in August, with the help of Sanjay Singh from People’s Postcode Lottery, which has provided £1.7 million for various projects along Marple’s waterway. Stuart Moodie, ecologist at the CRT, said: “By planting this black walnut tree we are adding to the wildlife value of this wonderful area and at the same time creating a link to the past and the pioneering work of Samuel Oldknow. The story goes that he had the foresight to see that even through rapid industrial development there was scope to improve the environment. The charity now needs more people to join the local volunteering team and help continue the vital work they do, from grouting and painting to taking cuttings from the black walnut tree so more can be planted. Find out how to get involved at www.canalrivertrust.org.uk.